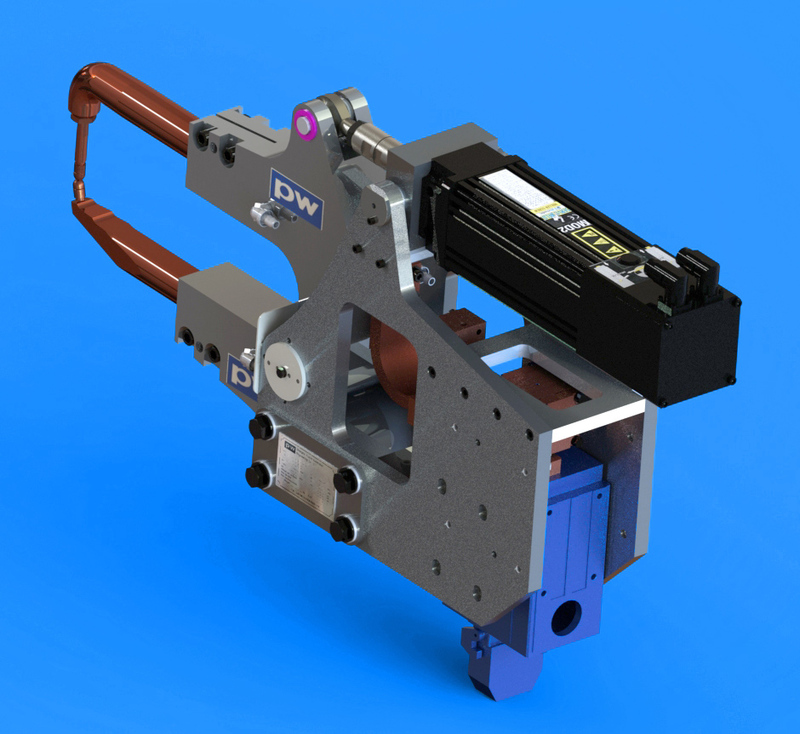 The PW Joint Venture in Shanghai manufactures spot welding guns for many automotive manufacturers in the Chinese market. Recent successes include more than 200 servo driven weld guns supplied to Shanghai Automotive and General Motors. Typical weld gun shown here uses the PW 130kVA superlight transformer, with a servo ballscrew actuator providing the weld force. All designed by PW in the EU, local manufacture in China ensures prices are competitive and with PW’s wide and global automotive industry experience, reliability is ensured.